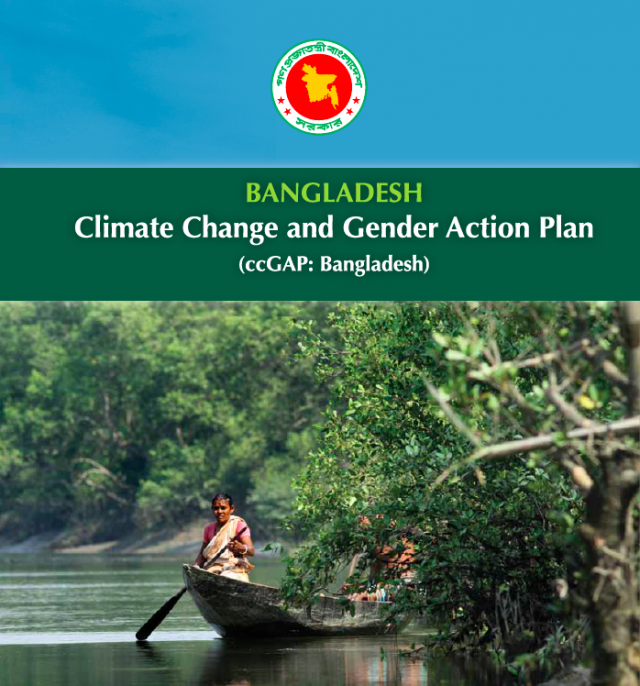 It is a great achievement indeed for the government of Bangladesh to be able to prepare and publish the Climate Change and Gender Action Plan (ccGAP). Bangladesh is a land of one hundred sixty million people and around half of the population is women. Therefore, any development initiative has to serve the needs of women and men alike. Activities focused on adaptation and mitigation to combat climate change is no exception. The means to bring equal emphasis for women and men, toward gender equality and enhanced sustainability, is the objective of the Bangladesh Climate Change and Gender Action Plan.